Stepping In The Right Direction‘s CEO, Nicole Ford, exposes students to HBCU colleges with experiences that last a lifetime. In 2008, Ford turned her part-time passion into a full-time hobby, with the help of friends and her sorority sisters of Alpha Kappa Alpha. Nicole says Stepping In The Right Direction’s formative years carefully helped craft a moment, in which she transitioned from working for someone to being her own boss. “There’s so much fear, and you never know if your gonna make it or not make it. But it was a decision that caused me to walk away from a corporate career. The passion that I felt from mentoring and working with the young ladies was a passion unlike any other,” she says. “When I formed Stepping In The Right Direction, I wanted to think of something for the high school students to do, and keep them engaged. I took them to a step show in Long Beach, CA, and the students thought it was so easy. So I formed a step team. I did the first step show with the girls, and they enjoyed it,” Ford recalls. Those same ladies from her step team/mentoring program went on to be the first group to attend the college tours through Stepping In The Right Direction. What first started off as her dream in her hometown of Pasadena, CAÂ has turned into something bigger than what Ford could’ve ever imagined. Ford currently hosts 10 Stepping In The Right Direction tours per year, with a 75% college acceptance rate. 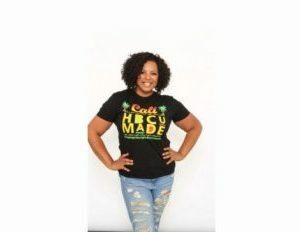 “My mission first started off in California, but it has since become about empowering the world and showing students what it means to attend a black college. I think the foundation of a black college is so important, Even if you don’t go for undergrad, you have to go–period,” she explains. Most students who attend the tours may just want to experience leaving home for the first time, but truthfully, there is something for everyone. Stepping In The Right Direction has even had international recognition. “I got a call from a group in the Virgin Islands, where a student from Barbados wanted to attend and sign up for the tour. I also had students from Germany, whose parents reached out, because they wanted to attend,” Ford says. Stepping in The Right Direction’s international students have shown interest in both Morehouse and Spelman. With the help of the tour program, Ford has sparked a conversation that was missing in California culture. “I’m partnering with various organizations, such as HBCU Lifestyle, and different organizations across the country,” she says. Due to her role as the president of the Altadena Chapter, Ford’s alliance with the NAACP has also allowed for Stepping In The Right Direction’s tours to spread like wildfire. So what’s next you ask ? The upcoming annual black college fairs, HBCU reunions, and homecoming themed tours are keeping Ford busy. Daily reminders keep her fueled for excellence, and she inspires the people around her. “I believe that ‘education is the passport of the future, and the future belongs to those who prepare for it today.’ I think that Malcolm X quote inspires me a lot, because it’s not just about education [in the traditional sense], but it’s about educating yourself in everything that you do. I believe my purpose is to assist young people to help their stories unfold,” Ford says. Regan Farley is co-owner of My PR Agency and has consistently provided Public Relations and Marketing services to entertainment based clients since 2011. Regan developed her experiences from working with industry leaders and top-tier companies which include Fox Broadcasting Company, NBCUniversal, and CBS Television and PS Media Talent. Recently, Regan has created content strategy moments within the tech and travel spaces. 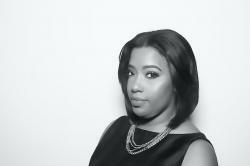 A Graduate of Lincoln University, Regan is passionate about issues concerning higher education and healthcare. Through her philanthropy efforts, she has also partnered with organizations such as The Epilepsy Foundation of Greater Los Angeles & NY, and Big Brother Big Sister.